You Need Dental Implants in Mount Pleasant – Is the Process Painful! Some of the simpler things in life can become a chore when you’re living without any number of your teeth. The best way to replace them is with dental implants in Mount Pleasant. Before committing to the process, though, you want to know whether it will be painful. Get important details about the procedure as you continue reading. A dental implant is a small post that is typically made from high-grade titanium, a strong material that is considered to be biocompatible. The post is surgically inserted into the jawbone, mimicking the natural function of a tooth’s root. Over time, the fixture fuses with the existing bone through a process called osseointegration, which creates a lasting foundation that supports the jawbone and a final restoration. As a result of the modern breakthroughs in dentistry, patients don’t have to settle for painful dental procedures. Before you undergo any care, you’ll receive anesthesia to ensure the process is painless. Thus, dental implant placement typically causes no more discomfort than a routine cavity filling. Keep in mind, though, after the procedure has concluded and the numbing medication has worn-off, there will be some sensitivity. Any sensitivity after a dental implant has been placed can usually be easily managed by taking ibuprofen or Tylenol, and an icepack application every 20 minutes can help to reduce any swelling. It’s also in your best interest to avoid eating any hard foods. Instead, stick to softer options like mashed potatoes, smoothies (with no straw) and apple sauce. The dental implant process has a 98% success rate, but it’s still necessary to follow the guidelines provided by your dentist. Keep these points in mind. One habit you’ll definitely want to avoid is smoking or chewing tobacco. The toxins released can lead to a painful condition called dry socket, which is the detachment of the vital blood clot that allows the treatment area to properly heal. After the initial placement of the implant, it’s best to wait 24-48 hours before performing oral hygiene. Then, when you reconvene, use extra care when approaching the treatment site. 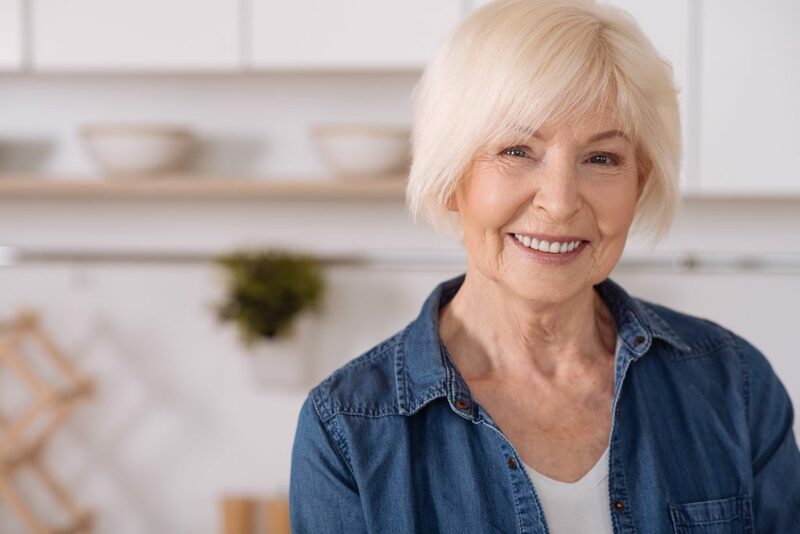 Now that you’re aware there can be some discomfort after a dental implant is placed, and you have some strategies on how to properly respond, be mindful of any acute pain that doesn’t seem to subside, even with the aid of a pain reliever. At the first notice of a harmful pattern developing, bring it to your dentist’s attention so you can be examined. To put the new information you’ve learned to good use, reach out to your dentist in Mount Pleasant to schedule a consultation so you can get back to living the life you want. Dr. Robert C. Sikes is a graduate of the Baylor College of Dentistry, and for over 30 years, he has been providing the absolute best in dental care. He helps his patients regain their confidence and functionality by placing dental implants at his private practice, and he can be reached for more information through his website. Comments Off on You Need Dental Implants in Mount Pleasant – Is the Process Painful!